The establishment of the European Banking Union (EBU) stands as a paradigm for how the EU has become increasingly involved in directly enforcing EU law throughout recent years. The institutional centerpiece of the EBU is the so-called Single Supervisory Mechanism (SSM), a supervisory network under the auspices of the European Central Bank (ECB) assigned with the task to monitor the Euro-area banking system. 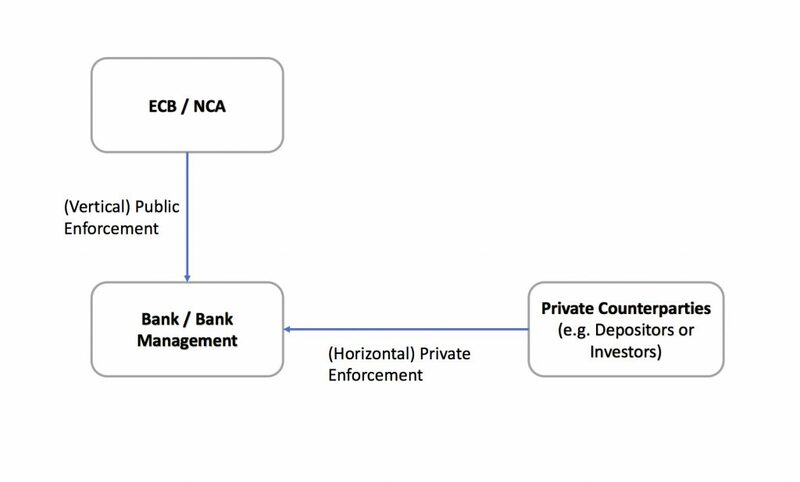 Apart from its coordinating functions in relation to the national competent authorities (NCAs), the ECB is responsible for directly supervising the business activities of the 120 most significant credit institutions in the Euro-area in accordance to the so-called Single Rulebook, a set of harmonised prudential rules which credit institutions registered in the EU must adhere to. This blog post is not doubting the importance of this type of vertical monitoring of market participants through public supervisory action. However, the recent crisis has shown that public enforcement is subject to several vulnerabilities. Even though the EBU may be able to overcome some of these vulnerabilities, several others will certainly remain. Thus, it is argued here that the existing supervisory architecture should be complemented by horizontal mechanisms of behavioral control. Central to this approach is a private enforcement of the Single Rulebook, i.e. the granting of individual causes of action for damages resulting from an institutions’ violation of EU banking regulation (as it is well-established for example in the area of EU competition law). Throughout recent years several studies have shown how supervisory failure has contributed to the financial crises of 2007-2008. Some of these shortcomings, such as the danger of imperfect monitoring of cross-border group structures (recitals 4 and 5 of the SSM-Regulation), may very well be limited under the new EBU SSM. Other shortcomings, however, will most certainly not be removed by the new supervisory system. This is especially true for structural information asymmetries, limited supervisory capacities of public authorities and various cognitive biases (with respect to these factors e.g. Armour et al. (2016), p. 587 ff. ; MacNeil (2015), p. 292 ff.). Another deficiency that may remain intact is of motivational nature. Even though it was one of the main goals of the SSM to prevent future national biases in the supervisory practice of NCAs (recital 6 of the SSM-Regulation), there are reasonable grounds to suspect a persistent danger of regulatory capture also at the ECB level. For one thing, it may be doubted that monetary and supervisory tasks are executed sufficiently independent within the ECB since these functions are separated merely by internal Chinese walls which are imperfect by nature. The question of supervisory independence becomes even more relevant when taking into account that the SSM is also accountable to the European Parliament and the Council of the EU (Art. 20 and 26 para. 3, 4 SSM-Regulation). While, on the one hand, this accountability is desirable for democratic reasons, it may also raise the level of (informal) political influence on the supervisory actions of the SSM. This is especially noteworthy in times where continuing growth and international competitiveness of the EU economy – two goals to which all EU institutions are assigned to (Art. 3 para. 3 TEU) and which are at all times publicly verifiable – are increasingly connected to a culture of easy money whose risks are invisible until the dawn of the next financial crisis (cf. Dalhuisen (2016), p. 551 ff.). An additional factor that may prevent the ECB from rigidly enforcing the Single Rulebook in an ex post perspective is the danger of self-delegitimisation (cf. from a sociological perspective Beck (2016), p. 99 ff.). Today, prudential supervision is designed to monitor credit institutions comprehensively and continuously alongside their whole life cycles. The imposition of administrative penalties (Art. 18 SSM-Regulation) after an infringement of regulatory duties may therefore frequently raise the question of why the misconduct of a credit institution was not detected or even prevented at an earlier stage by the competent authority. Thus, ex post enforcement of banking regulation potentially also threatens the ECB’s reputation as a qualified supervisory authority willing and able to monitor financial institutions adequately. An issue even more important today where the ECB can no longer be confident that its state liability will remain limited (cf. Möslein (2015), p. 567 f.). With respect to all of these issues private enforcement of the Single Rulebook may serve as a useful complement to public enforcement. Not only would a private claim for damages compensate for the incomplete protection of creditors through the current deposit guarantee schemes (DGS) within the Union. A private enforcement is also exclusively dependent on the proactivity of private parties and therefore better suited to promote creditor confidence. Finally, unlike public enforcement, private enforcement may also be able to profit from decentralized information scattered among market participants throughout the financial system (see e.g. Schooner (2010), passim). Therefore, the present article promotes a pragmatic and functional approach that does not solely rely on extensive interpretations of legal wordings or on the (at times speculative) search for a putative legislative intention where it was not – in one way or another – explicitly formulated (as it is the case in the current Single Rulebook). Instead, the efficiency of law enforcement should be the central criteria to determine the possibility of private enforcement. This logic of efficiency has always been at the heart of financial market regulation that, based on economic considerations, aims to overcome market imperfections. Empirical studies have shown that a private enforcement can possibly have a positive impact on the risk management of banks (see e.g. Pellegrina/Saraceno (2011)). Thus, it should not only be considered in the area of market conduct regulation (where it already has been discussed for a while) but also with respect to legal norms of prudential regulation (critically towards the latter Hadjiemmanuil (2015), p. 395 f.; less reluctant, however, at least with respect to the EBA Rulebook, Möslein (2015), p. 560 f.). 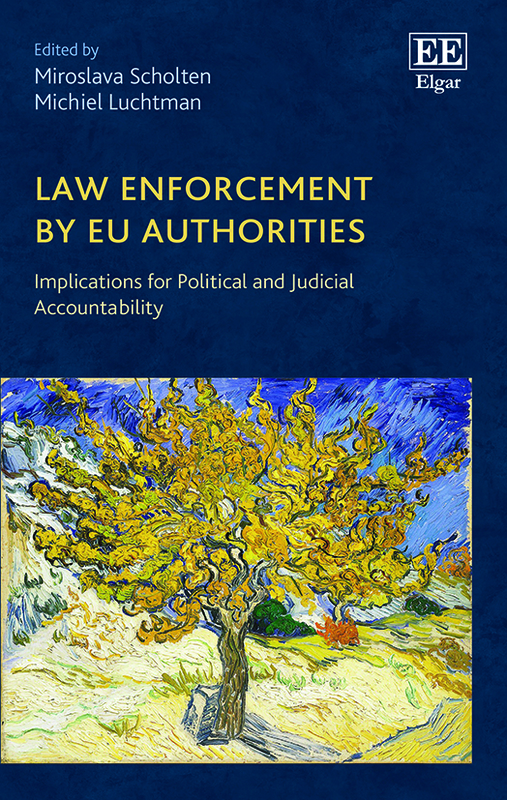 Ultimately, public and private enforcement should be viewed as two complementary approaches in one integrated enforcement strategy conceptualized to ensure compliance with the EU Single Rulebook. Several open questions remain: Who should be the potential claimants (depositors and/or investors; consumers and/or professional market participants) and who should be the potential opponents of a claim (only the credit institution or – maybe preferable – also the bank management itself)? What are the repercussions of a parallel internal director’s liability? What should be the requirements concerning the claimant’s burden of proof? Should the liability be limited to gross negligence? Does a private enforcement of EU banking regulation also require a right to class action? If so, how should it be designed? For now, all of these questions are to be solved at the national level. Just a single glimpse at the diverging approaches in the UK (where a breach of statutory duties and FCA-rules is potentially actionable) and in Germany (where private enforcement has so far been recognized by the German Federal Court of Justice only under very rare circumstances, e.g. where a credit institution operates without a banking license) already indicates how diverse the current legal landscape in this area is. Providing a level playing field and avoiding regulatory arbitrage, however, is not just a question of consistent legal rules but also of consistent legal practice (Singh (2015)). Hence, private enforcement of the EU Single Rulebook might in the future require further harmonisation among all member states to overcome existing legal discrepancies in a common internal market. The current chair of the Supervisory Board of the ECB, Danièle Nouy, indicated in a speech in October 2017 that a further harmonisation of the Single Rulebook based on regulations instead of directives is desirable. Such a step would be the perfect opportunity to also bring forward a harmonized private enforcement of the EU Single Rulebook. However, one should bear in mind that such decentralisation through private enforcement would place the interpretation of EU banking regulation and the review of banks’ business practices in the hands of judges. Consequently, the ECB and the NCAs may lose much of their extensive factual power to define which financial risks are threatening the EU financial system and how they should be treated under the current regulatory regime (cf. generally Beck (2016), p. 98 ff.). It would therefore require a considerate amount of trust in the capability of the member states’ civil courts and the ECJ. These courts have proven countless times that they are able to deal with complex regulatory matters (similar Fikentscher/Potszun/Hacker (2013), passim). They will be able to do so again. Matthias Kraatz is a PhD Candidate at Humboldt University of Berlin. 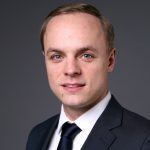 His research focuses on European bank supervisory law.